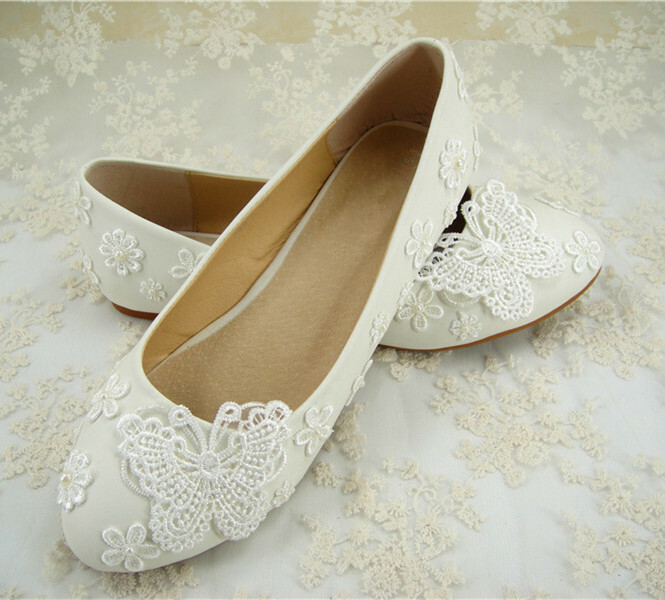 Gorgeous Handmade Butterfly Lace Wedding Shoes, Pearl Rhinestone Lace Bridal Shoes, romantic Luxury touch. 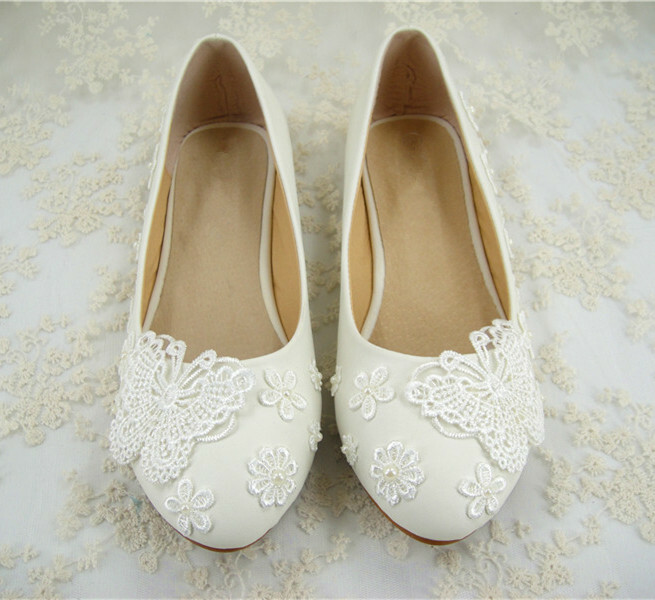 Perfect for Brides, Bridesmaids, and any occasions. 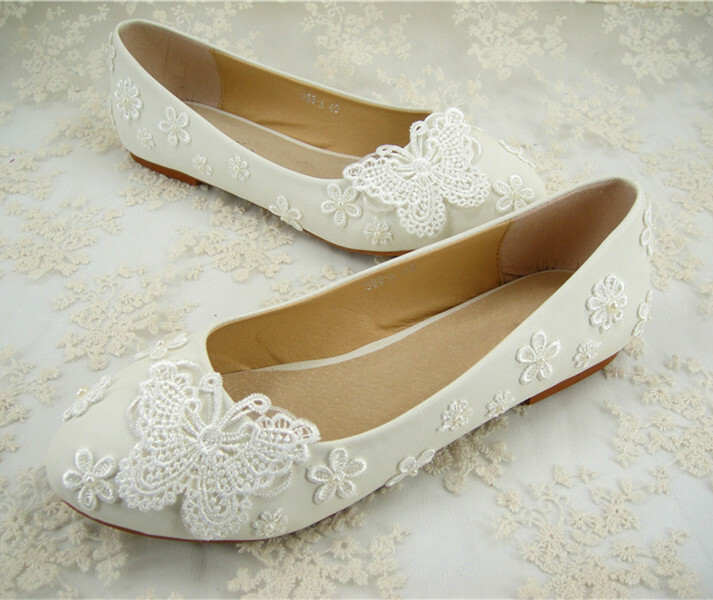 ###Note: For Sizes UK7 and UK8 -- Only Flat Heel available!